We relish news of our heroes, forgetting...we are extraordinary to somebody too. S. G. Browne has written a contemporary, change of pace novel that packs a strong message in a wrapper of fun. "Less than Hero" is a social commentary introducing Lloyd Prescott, a thirty-year-old professional guinea pig. For the past five years he's participated in over 150 clinical trials. The pharmaceutical companies have volunteers who test experimental drugs for cash. In a typical month, Lloyd can make over $3,000. He also has a part-time job where he stands in Central Park with various signs for handouts. One states that he will accept money for abuse. People call him all sorts of things and he just thanks them as he accepts their money. Lloyd and a group of five friends who are also human guinea pigs. They wonder if all the drugs they put in their bodies could have any effect. This is answered in a humorous fashion as Lloyd and his friend, Randy, are on the J train to Manhattan. Three punks enter the train and begin harassing a homeless man. Eventually Randy tells them to leave the man alone. Lloyd is expecting the worse but stands beside his friend facing the punks. Lloyd nicknames them Cue Ball, Cornrows and Soul Patch. As the train pulls into Essex Street station, Cue Ball's skin turns bright red and blotchy and he becomes covered with hives. His friends back away from him and Lloyd and Randy casually depart from the train. There are many parts of the story that had me laughing out loud. Lloyd and his friends all exhibit various powers. Lloyd has the ability to fall asleep before him, another in the group causes diarrhea and vomiting. The men decide to use their powers to protect the innocent. Examples of this are funny and funnier. To add to the uniqueness, Lloyd's girlfriend is a human statue. She stands in Central Park as a Fairy, sprinkling pixie dust on those who leave her a contribution. The characters are well described, the scenes are most entertaining and the story is a fun romp and is a critique of a broken and corrupt pharmaceutical industry. For those wanting a good story and something different, this is the book I recommend. I received a free book for my honest review. 2. Use link below and see Amazon review: at the end of the review when asked if the review was helpful, indicate "Yes"
3. Under comment section of my blog, leave email address for contact and indicate steps 1 & 2 are complete. 6. This is for a review copy of "Less Than Hero"
"It's always the same...once you are liberated...you ask...who you are." In a story reminiscent of "The Monument Men," Steve Anderson used research that he performed on a Fulbright Graduate Research Fellowship in Munich from 1993-94. It tells of actions in Munich, Germany in 1945. Capt.Harry Kaspar, U.S.Army, is appointed military leader of Heimgau, a Bavarian town. Upon arriving at his assignment and with plans of the good he would be doing, he finds three men on the road, recently killed. Upon entering the town, he meets Maj.Robertson Membre who is also assigned as MG (Military Governor). Since Membre's orders come from Frankfort, it's a higher command and they take preference. As a consolation, Member assigned Kaspar as Public Safety, he is to be the acting police chief. The story details the power of the conqueror, Germany is defeated and the to the victor belongs the spoils. Harry goes about his work and finds a good German man, Herr Winkl, a former policeman, to be his assistant. With all the good intentions, Harry is stymied by Membre and a Col. Spanner who has his own plan. We see the corruption and the few who want to do something about it. It is interesting to see some of the activities at the end of the war such as the prisoners and soldiers coming home and wanting their old homes. It is also to see the few Jewish survivors who have so little but deserve more. The bulk of the novel tells of Harry and his attempt to prevent the small town from turning to a corrupt area and criminals such as the man, Jenke, a convict, turned S.A. thug appointed to a new position of authority. There is a romantic side as Harry meets Katrina who is well described and someone the reader will want to succeed with what she has in mind for herself and a number of Jewish friends. There is a great deal to be considered in the story such as corruption, greed and how war can affect various people and communities. 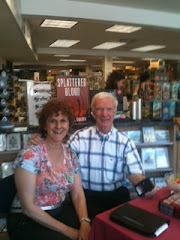 As a reader opens the pages of "Billy Bathgate" they are taken back to the days of prohibition and notorious gangsters. One of those famous gangsters wi Dutch Schultz. He befriends Billy and becomes a father-like figure to the fifteen-year-old boy. Shultz who was born in the Bronx in 1901 built his criminal network from bootlegging, gambling and murder. Billy lives with his mom in a run down area of Lenox Ave and 125th street. He had no father and no direction in life. He comes to idolize Schultz from his power, the way he's revered in the community and by many of New York jet setters. There are many shady characters in the story. The reader gets to share some of the words of Walter Winchell and hear Schultz's remarks of Thomas E. Dewey. Schultz has a girlfriend and Billy spends a great deal of time with her she is much of the reason for his sexual awakening. I enjoyed the story and look back into a time that many of our parents and grandparents enjoyed. Their stories may be gone but in this story, some of the events of that time are brought to life once more. The characters are well developed and become likable in their own way. It is particularly fun to witness the Jewish Schultz conversion to Catholicism as nears his trial date and he attempts to build a good-guy image. For fans of Anna Pigeon, if you are curious as to how she became involved with the National Park Service, this is the story of how that came about. Anna is in her first days with the NPS. She's age thirty-five and just off a bus from New York where she leaves some heartbreaking memories. She gets a job as a seasonal employee doing mundane work and living with a group of other seasonal employees. Being a nature lover, on her day off she decides to go for a hike. She sees something but is hit on the back of the head and wakes up at the bottom of a dry well, naked and with no clear memory of what happened. She also has a word scratched into her leg which she can't figure a reason for. She continues to call for help and wonders why no one comes to find her. However, her clothes have been removed from her room and the other employees figure she didn't care for the job and went back to New York. The interest in the story is to learn about Anna's early life. It is also to see the relationships between other seasonal employees living in close proximity. Much of the action is centered in the Lake Powell area which is a waterway created after a dam was built. For those really interested, I did a web search of Lake Powell and the party boats that people rent there, it's truly beautiful. Nevada Barr is a former Nation Park Service Ranger and she speaks from experience. It is also enlightening to read about what Park Rangers and other employees come across in their dealings with the public and with the politics of the National Park Service. It was a good story and one I'd recommend to Nevada Barr fans and those interested in the outdoors. The characters are well developed and Anna is a very likable character as are a number of the other employees she encounters. There are a number of surprises that add to the entertainment value of the story. 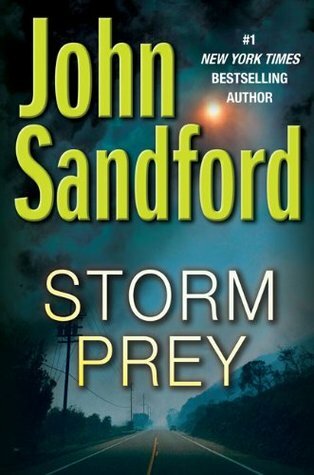 During John Sandford's "Storm Prey" four men rob a hospital pharmacy. When one of the employees tries to call for help, one of the robbers kicks him so hard, the older man dies of complications. The robbers also had an inside man who let them into the hospital. Later, we learn about him and his dependency on drugs that caused him to be part of the robbers' scheme. Lucas Davenport's wife, Weather Karkinnen. is a plastic surgeon at the hospital. She's involved in a major surgical procedure where many of the hospital staff are working together to separate two little girls joined at the head. As Weather came to work on the day of the robbery, she got a good view of the driver of the get away car. 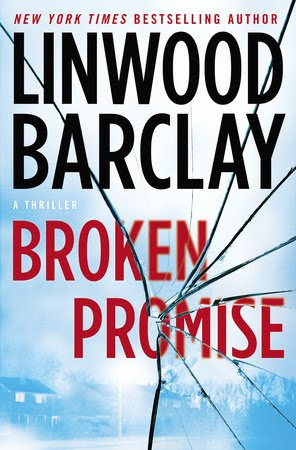 Much of the remainder of this engrossing novel deals with the robbers having a fallout between themselves and attempting to eliminate anyone who could identify them. They aren't killers so they hire a crazed young killer from California. When the shooter, Cappy, attempts to shoot Weather on her way home from work, we are thrilled by her observing the would be assassin and turning the table on him. She's a true cop's wife and alert to circumstances that get in her way. The reader gets an immediate sense of drama that the author is noted for in his wonderful series involving the Minnesota Bureau of Criminal Apprehension, Lucas Davenport and his leading detective, Virgil Flowers. The story moves swiftly - so much so that I kept putting off my dinner so I could read the next exciting segment. It is interesting to watch Lucas, Virgil and various police departments join in the search. The compulsive story continues chapter by chapter until its exciting climax. 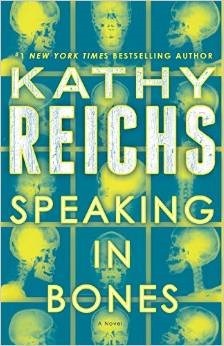 In this contemporary novel, Kathy Reichs places Dr. Tempe Brennan in a number of suspenseful and interesting situations. Tempe is approached by Hazel "Lucky" Strike. 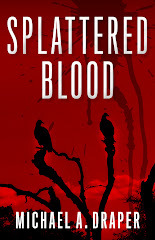 She's an amateur detective and matches unidentified bodies with people who have gone missing. She's a member of a group called Websleuth.where people compete to solve cold cases. Lucky plays a tape for Tempe where a woman appears to have recorded her own murder. Further, Lucky is positive that the voice is of a missing eighteen-year-old girl, Cora Teague. Cora went missing a number of years ago and Lucky believes that Teague's bones are being held by Dr. Brennan's office, under unidentified subjects. Although doubtful, Dr. Brennan contacts Det. Zeb Ramsey from the town where Teague's family lives. They work together in investigating the facts. There are two interesting subplots to the story, in one, Tempe's on again off again boyfriend, Lt. Det Andrew Ryan from Canada, asks her to marry him. Tempe has to make a decision and facts from her past come into play. In the other subplot, Brennan's mother is in a nearby health facility with cancer. She is lonely and wants attention. Brennan visits her mother and then her mother asks about the case and wants to help via her computer. As Brennan looks into similar cases, it's gripping to so many people whose bones have been found but the are not identified. Cora Teague was a member of a fundamentalist church. Her family refuse to help and tell Brennan that their daughter ran away with her boyfriend. The pastor of their church stands in the way of any investigation. Tempe and Ramsey have difficulty understanding why there is this reluctance to help as the group conveys utterances of lost souls and evilness. Not to reveal plot, but the reader follows the story as suspense and tension increase. There are several surprises along the way. The story focuses on relationships, faith and Dr. Brennan's persistence in learning the truth. 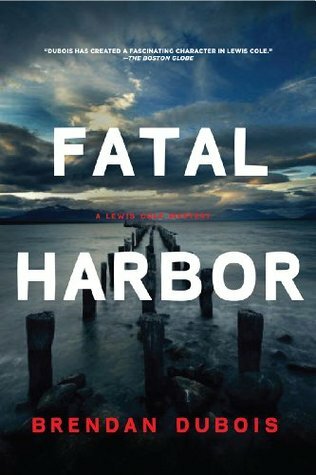 I was immediately drawn to "Fatal Harbor" by the interesting and imaginative book cover. The novel is well written and has an interesting premise about negative aspects of nuclear power. The main character, Lewis Cole has been around for seven prior episodes and although this story can stand alone, it would be a little help to have read the prior book, "Deadly Cove." Just reading comments from other Amazon reviewers, the reader can see how much other readers enjoy and even love the character of Lewis Cole. In this book, he is looking for revenge. Days after a protest at an anti nuclear demonstration Lewis is thinking about his best friend, Diane Woods who has been left in a coma from someone at the demonstration. Lewis vows to find the man and to kill him. As Lewis goes on his investigation, with help from his friend, Felix Tinios, he has the one goal of revenge and can't be persuaded to do anything else. He overcomes obstacles, sees personal effects that the people behind the man Lewis is after, strike at one of the things Lewis loves, yet, he keeps going, like a hungry wolf. There is a good discussion of the academic theory about why nuclear power plants hurt the earth's ecology even at the callous disregard for those injured in the crusade of the demonstrators, yet, Lewis goes on. The story entertained as Lewis meets the father of a young man killed by the leader of the Nuclear Freedom Front and the story takes a turn. I recommend the story and intend to look into other books of this fine author. "The Burglar in the Library" is an enjoyable Bernie Rhodenbarr mystery. This is the second time I've read the story and it has remained enjoyable and entertaining. 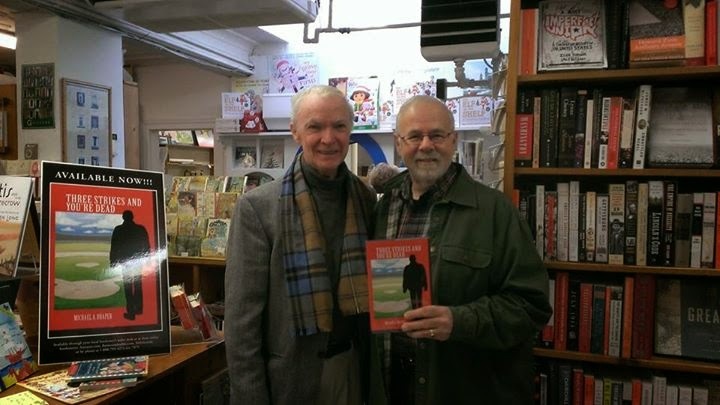 Bernie and his companion, Caroline Kaiser, leave New York City and travel upstate New York to a traditional English country house that has been converted to a B & B.
Bernie is a book store owner in New York and knows his mystery writers. He has found that Raymond Chandler, one of the founders of the hard-boiled mystery will be at a friend's home in Connecticut in 1941. Also at the home will be Dashiell Hammett. While together Chandler personalizes a copy of his novel, "The Big Sleep" to Dashiell. Bernie thinks that the country house he's going to was the same place where Hammett and Chandler were. If that book was left in the library, it would be worth big money. When they get to the Cuttfield House a severe snowstorm is blowing. Eventually, the house is cut off, and someone cuts the electricity, then the fun begins, someone begins killing the people at the House. As a mystery fan myself, it was so much fun to hear about Ed McBain, Agatha Christie as well as Chandler and Hammett as characters in a story. The pace of the story is finely tuned and the book provides constant enjoyment. It's just what that doctor ordered for a patient wanting a good read. I enjoyed reading "The Fateful Lightning" during a vacation in Charleston, South Carolina. I began the book a bit before the vacation so I'd be able to get into the meat of the story while in Charleston. The historical setting added to the enjoyment and appreciation of the book. The story centers on Gen William J. Hardee; Capt. James Seeley; Gen. Joseph Wheeler and Gen.Joseph E. Johnson for the South and Franklin (a former slave); Gen Oliver Howard, Gen. Henry Slocum; Maj. Lewis Dayton; Maj. James McCoy; Gen. Hugh Judson Kilpatrick and Gen. William T. Sherman. We learn about events through the character's words and opinions of those around or opposed to them. The figures loom so high during the Civil War but many of the combatants were relatively young men. In the 1864 time frame of "The Fateful Lightning" Sherman was age 40; Henry Slocum was 37; Kilpatrick 28; Wheeler 28; Hardee 49. Their achievements were so staggering that it's difficult to imagine them doing so at their relatively young ages. Franklin's story is told as he becomes a free man and follows Sherman's army, wanting to do as much as he can to assure a Northern victory. The author also brings out the idea that many of the Confederate officers were not up to the combat and troop movement skills of their northern counterparts. At one point, South Carolina Governor Magrath says to Gen. Hardee, "...it has long been understood that President Davis attends to matters close to his own priorities, which do not include any army that he himself is not managing." Some of the failures mentioned is one Confederate General being overly cautious and not taking advantage of battle situations, another Connecticut General was overly aggressive and then would change the description of events to meet his own version. In Gen Bragg's case, as the battle over Macon is getting underway, Bragg is taking over the command at the Confederate Garrison in Augusta. This surprises Sherman who has already defeated him in a number of battles. When the governor of a Georgia recalled his militias, it greatly weakened Hardee's forces but in a battle of states rights, the Governor controlled this segment of the army. There is also an author postscript telling what became of a number of the central figures, such as Slocum's work on the Brooklyn Bridge and in New York politics, Wade Hampton being elected Governor of South Carolina and Henry Hitchcock's return to his law practice and later being a cofounder of the American Bar Association. All of these accomplishments made me think how much the country had lost from those who were killed during the Civil War and their possible accomplishments died with them. 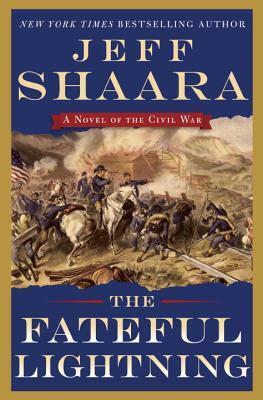 The book is richly researched and provides a good view of the characters, the settings and the politics of the final days of the Civil War. 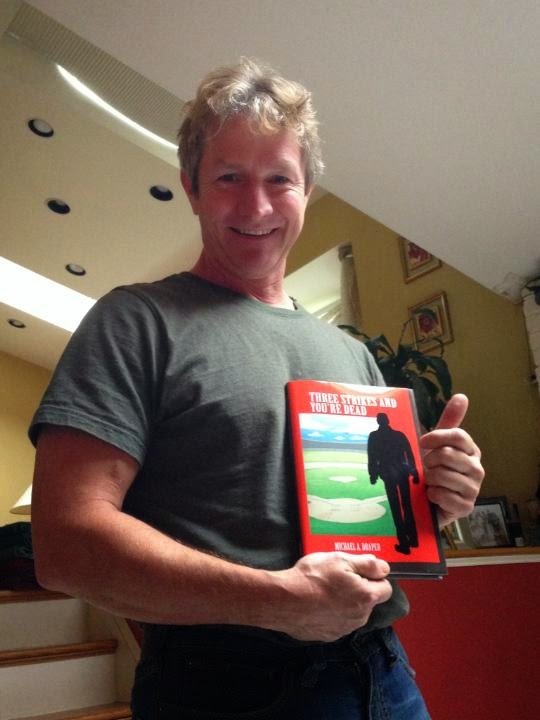 Looking for an entertaining novel to pass the time on rainy days? Try Craig Johnson's"Dry Bones." In the story, skeletal remains of a large dinosaur are discovered. The uniqueness of the skeleton, the size and condition of the remains place its value at around eight million dollars. Now, the fun part, Part of the land where the dig is going on is on Indian territory. A permit is necessary to excavate this area and guess who doesn't have one? The archaeologist wants the skeleton for High Plains Dinosaur Museum, the Indian tribe where the skeleton is found want it for an Indian Museum. The family of the land owner have plans of their own. Sheriff Walt Longmire has the unenviable task of sorting out these issues. This happens just when his undersheriff, Vic Moretti returns to Philadelphia where her brother is shot. 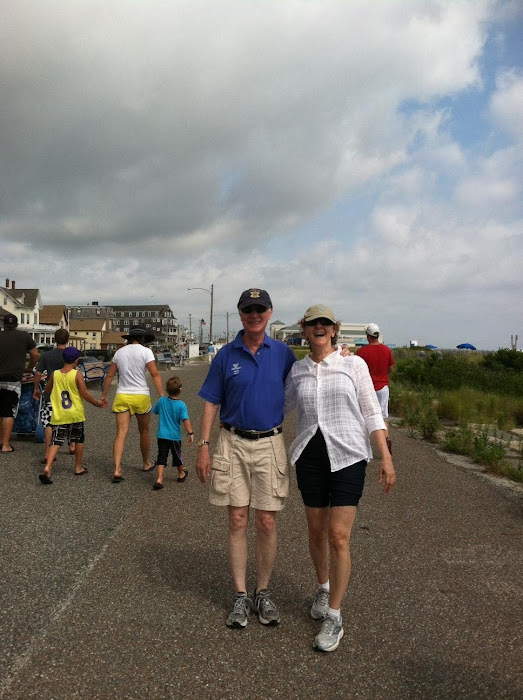 Her brother, Michael, a patrolman with the Philadelphia P.D. is also the daughter of Walt's daughter, Cady who was on her way to visit Walt with her five-month-old baby. 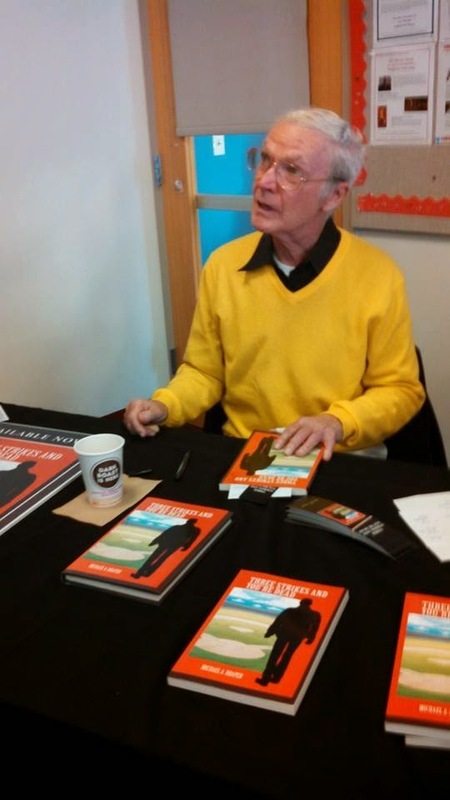 Craig Johnson packs all these elements together like a new deck of cards. As a grandfather, I found Walt's befuddlement over getting ready for his grandchild's visit entertaining. What the heck is a back & play? Who knows how to put one together? It's great that Walt has friends. Walt's character is well developed, realistically portrayed and likable. The story is top notch.